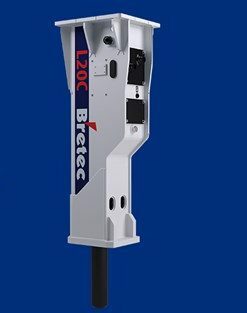 Bretec’s L30C hydraulic breaker incorporates the latest evolution in long proven breaking technology, For half a century, the technology utilized in Bretec’s breakers has been tested and proven in all corners of the globe and now with the introduction of the L30C Bretec is taking technology to the next level. Bretec’s L30C has been designed to provide the most simple and cost-effective solution to your breaking needs. The silenced housing offers increased noise prevention, making them ideal for urban applications. So when you what to make a real impact, the L30C will get the job done.